If they're better than anyone, even anyone Boofle has ever met, then let them announce to the world that they're Simply The Best on their own Booftasic mug! 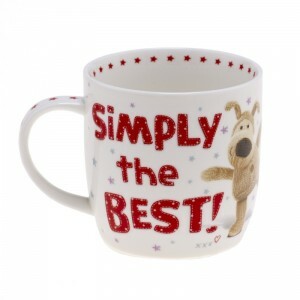 Boofle pictures on the mug beside the big red text, because, well, he's pretty good too! Blue, pink and red stars twinkle all over their little gift to show just how much magic they bring to everyone, even when having a cuppa! Perfect to give to friends, relatives, teachers, colleagues who are better than all the rest!